Independence Day is here once again, a day of fireworks and celebration of this great country of ours! To make your 4th of July even more exciting, here are five fun and interesting current facts, events, deals and savings that are taking place right now on this beautiful Fourth of July day! Fact and Savings: Gas prices haven’t been this low on the Fourth of July since 2005, which was eleven-years ago! According to an article on Investopedia. Just one more thing to celebrate on this Independence Day! The average price of gas is currently $2.31 per gallon. The price of gas hasn’t been this low on the 4th of July since 2005. Is Your Bank Open This Fourth of July? Fact: This year July Fourth, a.k.a. Independence Day falls on a Monday. If you forgot to plan ahead, you may be disappointed to find out that most banks will be closed the Fourth of July even though it falls on a week day. According to an article I read on Heavy.com, which you can read here. Even though most banks will be closed this 4th of July, a couple banks could surprisingly still be open. This is good news for anyone who forgot to plan ahead and needs to get to the bank today. 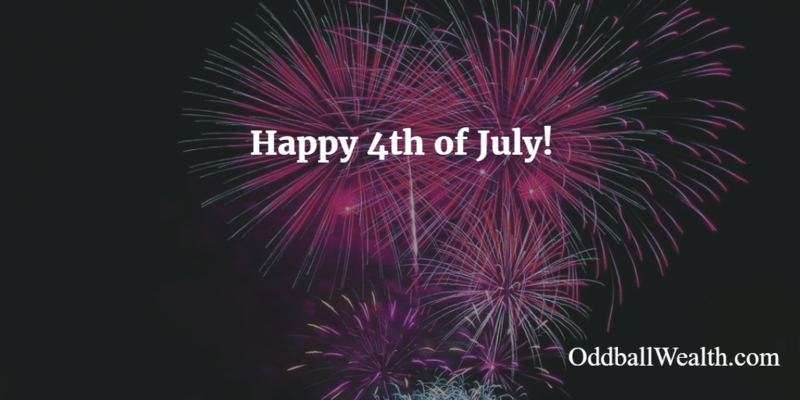 For more information on which banks may be open or what ones will be closed this 4th of July visit GoBankingRates webpage. Patriotic Fact: I came across another interesting article today over at BankRate, which showed the top ten cities with the most American made car brands. Considering its Independence Day, I became very interested in finding out which cities demonstrated true patriotism by purchasing the most domestic made vehicles. To determine this, Edmunds.com looked up vehicle registrations by cities. They then took other data from sources such as Polk Automotive. Using that data, they were able to determine which cities sold the largest quantity of American made cars over the past seventeen-hundred days or so. You can view the full list by clicking the BankRate link up above. But do you notice a trend here? Out of the top five cities with the most American made vehicles, four of them were cities in the state of Michigan. There were also two more cities on the complete “Top Ten” list from Michigan: Marquette and Lansing. The research shows that the residences of Michigan are very patriotic, at least when it comes to owning a vehicle. Hats off to you Michigan for keeping it Made-in-America! Fact: I came across another interesting article on wndu.com about a NASA spacecraft reaching Jupiter today on the 4th of July. This is pretty cool! Apparently, the NASA spacecraft which is called “Juno” is supposed to reach Jupiter this Independence Day. The spacecraft has been traveling through space for the past five-years just to reach Jupiter. According to the article, it should be arriving at its destination today, which is of course the Fourth of July. The perfect day for an American space expedition to complete its journey and mark another great accomplishment completed by this great country! Deals and Savings: I know it’s already July Fourth, but who says you have to celebrate America and our freedom only on Independence Day. If you’re looking for great deals on “American” apparel and accessories, you can find some steals on Amazon that are great for your budget and wallet! If you have a Netflix subscription you could also just stream this movie on there as well. This movie is a classic and by far one of my favorites! No purchase or Amazon Prime account required! It’s simple to enter for a chance to win too. All you have to do is listen to the playlist. If you don’t have an Amazon Prime account but want one, just sign up for the 30-day free trial. Visit the Amazon Secure Webpage for more details and to sign up! Amazon Prime Day is when Prime members get exclusive deals! Not a prime member? Just sign up for the 30-day free trial and you’ll be able to take advantage of the deals!